Siser® EasyWeed® is a decorative heat transfer vinyl that can be ironed or heat pressed onto any textile, including leather. Use this cut only heat transfer vinyl to create custom shirts, bags, pillows, towels, and more that looks and feels great! EasyWeed® is extremely thin and soft giving you the final design you desire. Now you can get the Siser® EasyWeed® you need in rolls! This is a great way to save money on your htv. 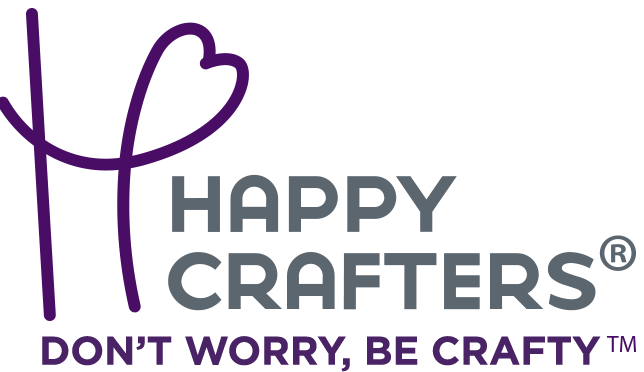 12" x 15 feet (5 yard) roll of Siser® EasyWeed® Heat Transfer Vinyl designed for applications to cotton, polyester, cotton/poly blends, and leather. 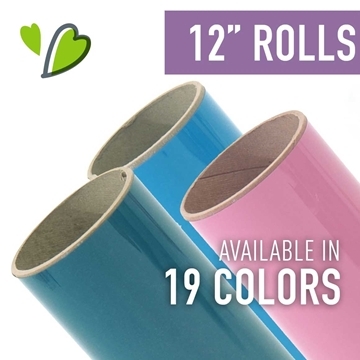 15" wide rolls of Siser® EasyWeed® Heat Transfer Vinyl. EasyWeed® applies to cotton, polyester, cotton/poly blends, and leather. 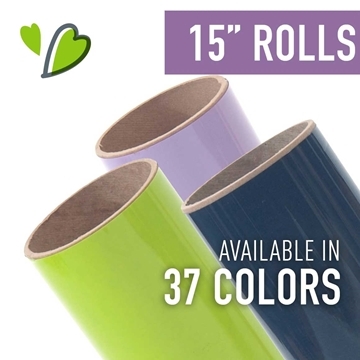 15" wide rolls of Siser® EasyWeed® Fluorescent Heat Transfer Vinyl. EasyWeed® applies to cotton, polyester, cotton/poly blends, and leather. 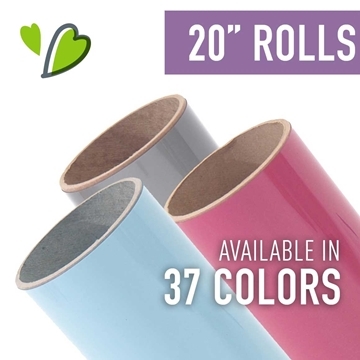 20" wide rolls of Siser® EasyWeed® Heat Transfer Vinyl. EasyWeed® applies to cotton, polyester, cotton/poly blends, and leather. 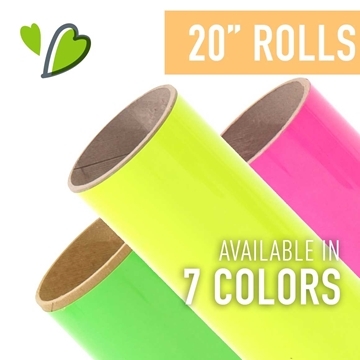 20" wide rolls of Siser® EasyWeed® Fluorescent Heat Transfer Vinyl. EasyWeed™ applies to cotton, polyester, cotton/poly blends, and leather.